1. Dirk Koetter made the easiest decision in the history of earth Monday when he decided to go with Ryan Fitzpatrick (who is playing great) over Jameis Winston (who isn't) at quarterback. It's like choosing good over evil, steak over salad or riding over walking. Winston will be back, but not until Fitzpatrick stumbles. 2. I'm kind of weary of hearing Winston talk about how he knows he has to cut down on his turnovers, and then see him not do it ... again. It's like a teenager saying he'll be in before curfew, and he never is. If this was a big thing to Winston, I have to believe he would have grown more than he has. 3. What is they say about rats and sinking ships? I understand DeSean Jackson's frustrations, but let's face it: He's hasn't played on a team where he was the primary receiver for a few years. Does he really think a better team will trade something of substance for him and then make him the king of the receiving corps? 4. That's it. If it's me, I start bringing in other kickers right now. I would bring them in two at a time, maybe three. I'm tired of kickers who couldn't get a part-time job with the Rockettes. The guy has missed four extra points this season, and we aren't even halfway through. 5. Just wondering: If Winston had played 60 minutes, and if the Bengals' defensive backs caught all their interceptions, how many might he have thrown? "The Bengals won, kind of. They sort of beat the Tampa Bay Bucs on Sunday. The newest Bengal, Jameis Winston, was highly appreciated by the intimate gathering of fans at Paul Brown Stadium. How often can a team play nearly an entire game with 12 men on the field and never get whistled for it? "Thank you, Jameis. The Bengals and their fans appreciated all four of your interceptions. Every egregious one." "Just because the Bengals went the first 25 minutes of the second half without a first down… just because they tried to blow an 18-point, second half lead at home against a losing team… just because Winston gifted the Bengals with the four interceptions, including the one Jessie Bates ran for a touchdown, and they still needed a last-play 44-yard field goal to win…just because the defense allowed the Bucs 576 yards…"
"The Bengals didn't need Sunday to be pretty. They just needed it to be a win against Tampa Bay. 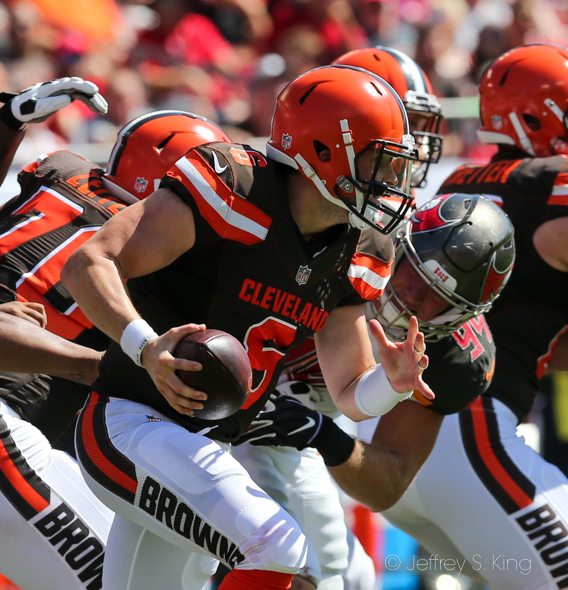 "With an inactive list stuffed with starters on the mend, bye week on the horizon and reeling off two consecutive demoralizing losses, this was not the time to chase beauty points." "The dogs would have stayed on the chain if not for the gifts of Jameis Winston. He gave the Bengals defense just what they needed. That being turnovers. Nearly all on awful throws. And eventually getting him benched for Ryan Fitzpatrick." 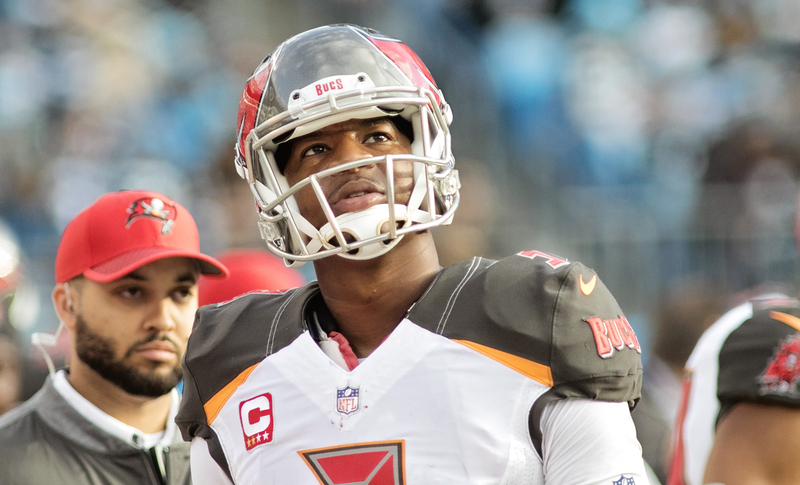 "It's easy to see why the Bucs don't want to give up on Winston: He's a former No. 1 overall pick who's supposed to be the team's quarterback of the future. 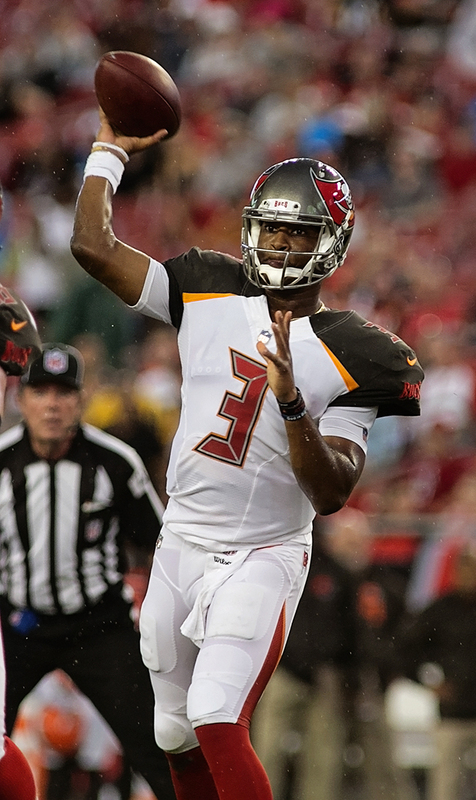 However, if Winston has proven one thing this season, it's that he probably shouldn't be the starting quarterback for the Buccaneers anymore, and if that wasn't clear to Bucs coach Dirk Koetter before this week, you'd like to think it became clear after Winston's four-interception meltdown during Tampa Bay's 37-34 loss to the Bengals on Sunday. Winston single-handedly cost Tampa the game and he did it by throwing interceptions that no NFL quarterback should ever throw. You can always overlook one mistake, but with Winston, it's never one mistake, because these things always seem to come in bunches. Winston has played in four games this season and he's thrown multiple interceptions in EVERY single game. As a matter of fact, with 10 picks on the year, Winston is now tied for the NFL lead in interceptions, which is even worse when you consider the fact that he was suspended for the first three games of the season. 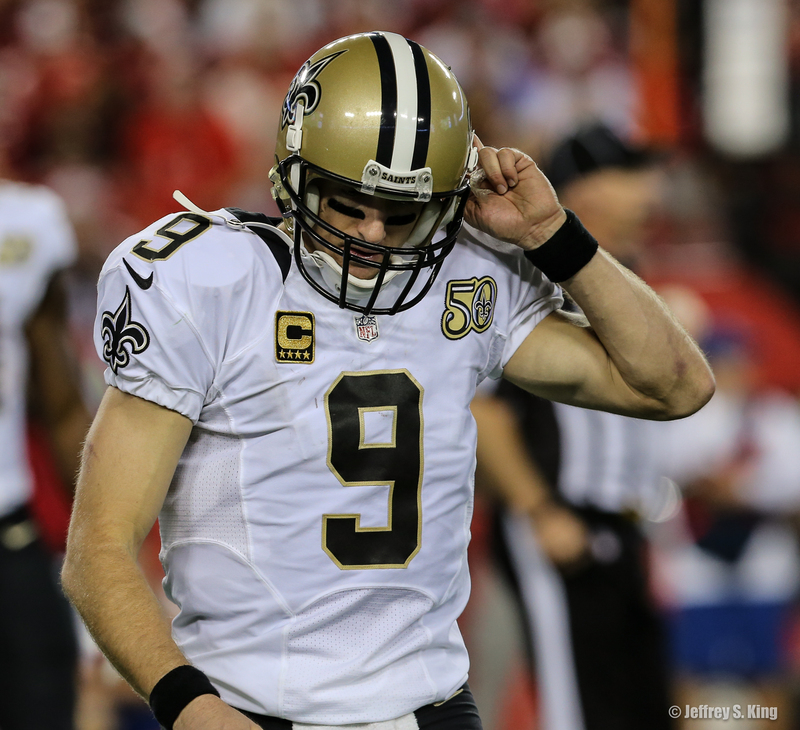 Basically, he's played in three less games, but has more interceptions than anyone." Offense: Just how bad would this season look without Ryan Fitzpatrick? He has led them to two of the team's three wins, and he almost made it three Sunday. If you rate the quarterbacks of the NFL, Fitzpatrick is a top five. Winston, at best, is a bottom five. 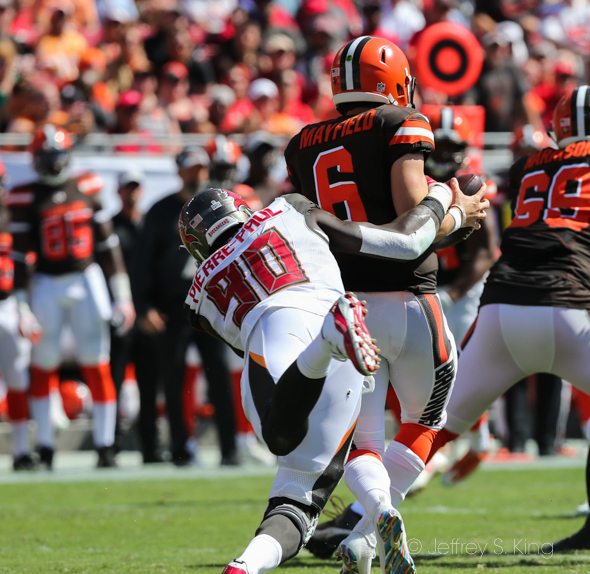 Defense: Jason Pierre-Paul had two sacks as the Bucs' defense had a solid second half. Pierre-Paul has been that rare Buc acquisition who has performed well. Special teams: The Banger is back. Bryan Anger averaged 49.7 yards per punt Sunday, including a 61-yarder. Quarterback: The bad was worse than the good was good Sunday. Give Winston the lowest possible grade, an F-minus minus. He has never been worse, and he's frequently been bad. Fitzpatrick was good, but even he couldn't forgive Winston's errors. Grade: C (because of Fitzpatrick). 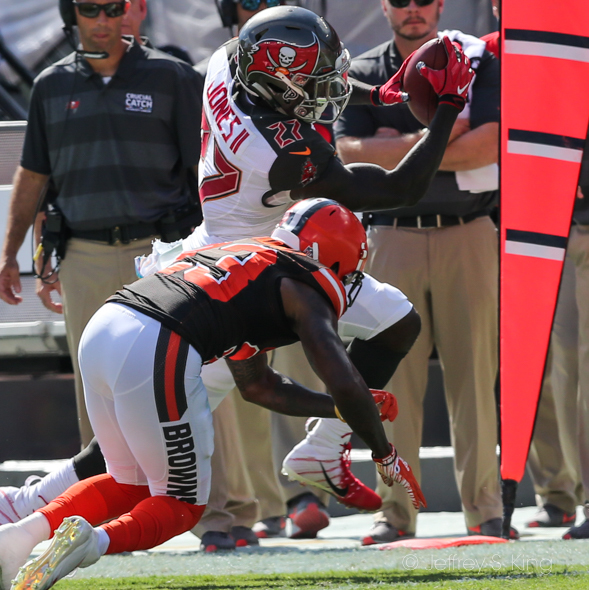 Running back: Barber has had two 80-plus yards rushing performances in his last three games, and the Bucs' running game has at least shown hope. No, he's not a star. But when he's solid, the Bucs have a shot. Grade: B. Offensive line: Too many sacks, too many penalties. No, this is not an elite line, no matter how much praise the coaches give. Grade: D.
Defensive line: Jason Pierre-Paul can still play. But we still don't know about Vita Vea. 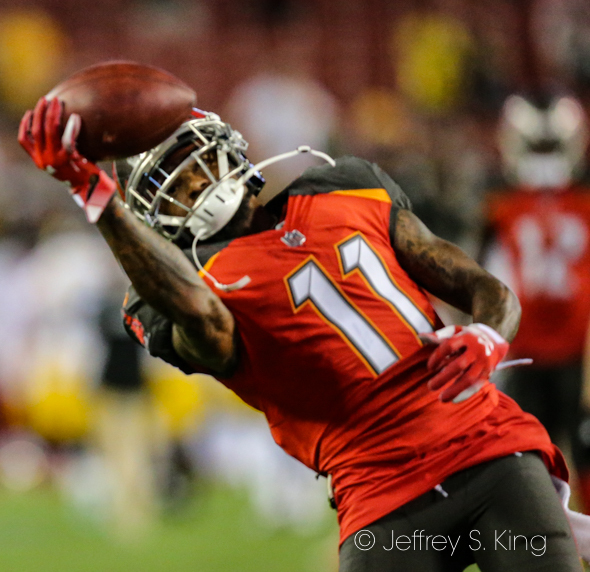 Where is the burst the Bucs loved? Grade: C.
Linebacker: The Bucs missed Kwon Alexander. 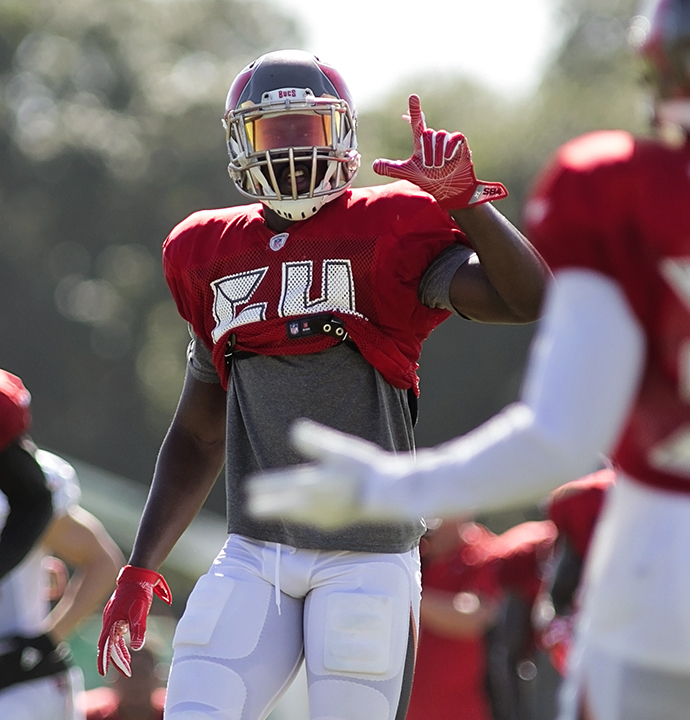 Lavonte David remains solid. Grade: B. Defensive backs: Andy Dalton throws a lot of picks.Not to the Bucs, however. Grade: D.
Kicker: How many do the Bucs let Chandler Catanzaro miss? Grade: D (because of Bryan Anger). Coach: Why was Winston on the field to throw that fourth interception? Or the third one? Or even the second one? Grade: F.
Justin Evans, like the rest of the Bucs' defensive backs, hasn't made enough plays this year. But a team-leading eight tackles counts for something. 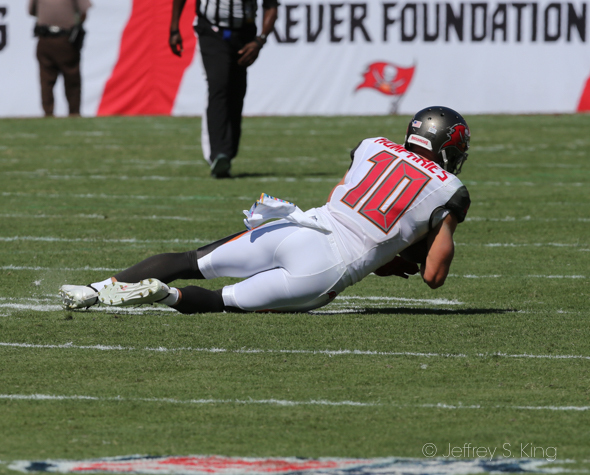 Adam Humphries caught seven passes to lead the Bucs Sunday. The guy simply makes plays. Bryan Anger: A good punter can make life a lot easier for his team's defense. Anger hasn't been as good this season as last, but he's still a weapon. Jacquizz Rodgers: He doesn't get the playing time he once did, but he did catch four passes for 25 yards. Brent Grimes: He's taken some heat lately, but Grimes had five tackles and a pass breakup. 1. Two point conversion: After bringing the Bucs back, Fitzpatrick threw into a tight window to Chris Godwin for the tie with 1:10 to go. 3. 1-10-40 -- Winston hasn't connected with DeSean Jackson enough, but he found him here for 60 yards. 4. 4-3-18 -- On fourth down, Fitzpatrick found tight end O.J. Howard for a touchdown to bring the Bucs to within two. 5. 2-7-17 -- Adam Humphries caught a pass from Winston that brought the Bucs within arm's-reach of the end zone. The officials ruled he had broken the plane, but the call was reversed. No matter. Barber scored on the next play. 1. 3-10-10 -- The Bengals' final touchdown was another gift from Winston. This time, Jesse Bates picked off a pass and returned it 21 yards for the score. 2. 2-10-41 -- After Andy Dalton hit A.J. Green for 11 yards, just before the winning field goal, Adarius Taylor picked up the ball and ran with it. He said he thought it was a turnover. Officials called him for delay of game, and marked off a crucial five-yard penalty before the winning 49-yard field goal. 3. Extra point Catanzaro missed another one. 4. 1-10-43 -- Justin Evans finally intercepted the Bucs' second pass of the season, but rookie Vita Vea was ruled to have been offsides. 5.1-10-27 -- The Bucs had wonderful field position when Winston threw his second of four interceptions. * Winston is at 6.8 this season. (In honor of the fired Hue Jackson, a hot-seat rating). 1. 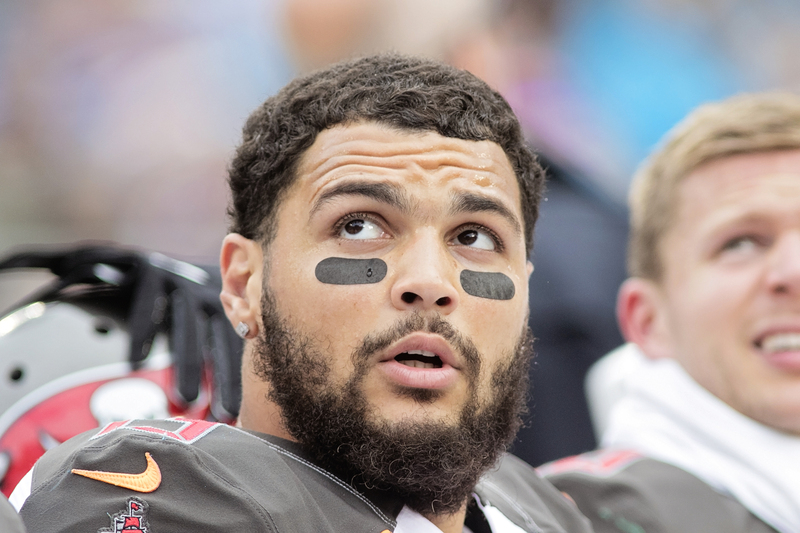 I saw the most absurd story about the Bucs' absurd quarterback. It asked "Should Tampa Bay trade Winston." Well, for what? You don't trade a player when his stock has bottomed out. What are you going to get for a interception-prone kid who's a character risk? Just let it play out. You don't throw a bad car away. 2. Winston has a huge problem with interceptions, yes. But he isn't the first one. At his age, Peyton Manning threw it away, too. Jim Plunkett had interception problems. Joe Namath. Terry Bradshaw. Those guys turned out okay, didn't they? I get it. Everyone is angry at Winston, and they should be. But let's hope our franchise isn't quite as reactionary. That said, Winston invented indigestion at a time when the rules favor quarterbacks more than ever. 3. I think I want to be traded, too. Doesn't everyone? 4. All quarterbacks look like stars against the Bucs. But isn't the team lucky that Tom Brady, Aaron Rodgers, Patrick Mahomes, Kirk Cousins and Phllip Rivers aren't on the schedule. On the other hand, Blake Bortles could use a dose of the Bucs' secondary, couldn't he? 5. How did the Bucs' not hire Hue Jackson as head coach? Oh, well. There still is time. When the teams met on a Monday night in October of 2016, it wasn't exactly must-see TV. Both teams were 1-3, and although both rallied a bit (Tampa Bay won nine games, Carolina six) neither was bound for glory. Ah, but one thing sets this game apart. It was Roberto Aguayo night. 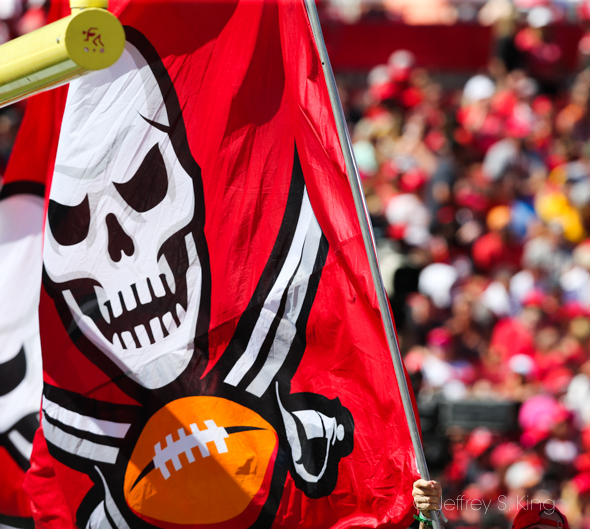 Aguayo hit a 38-yard field goal as time ran out to lift the Bucs to a 17-14 victory. Aguayo had missed two field goals earlier in the game. As it turned out, Aguayo wasn't long for the Bucs despite his high-price, and his departure didn't close the door on the kicking troubles. But for one kick, on one night, he was worth having. A shame that it didn't last. Ok …FitzMagic is in the house again! Great! 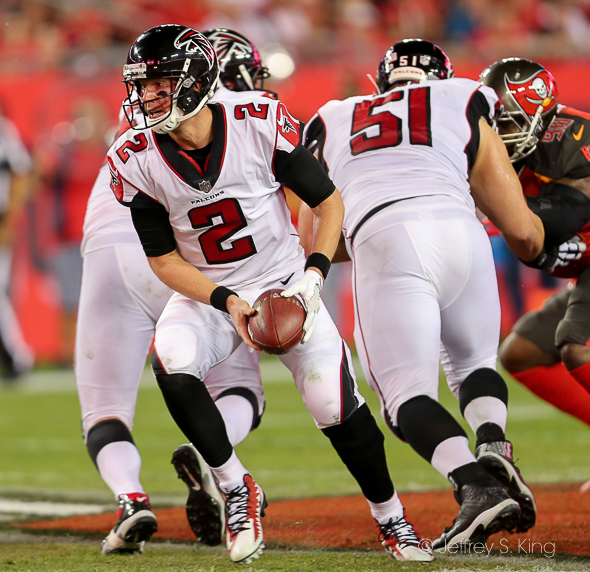 Question…… Witch backup QB dose Koetter choose if Fitz gets hurt and has to come out even for one or two plays? Winston. 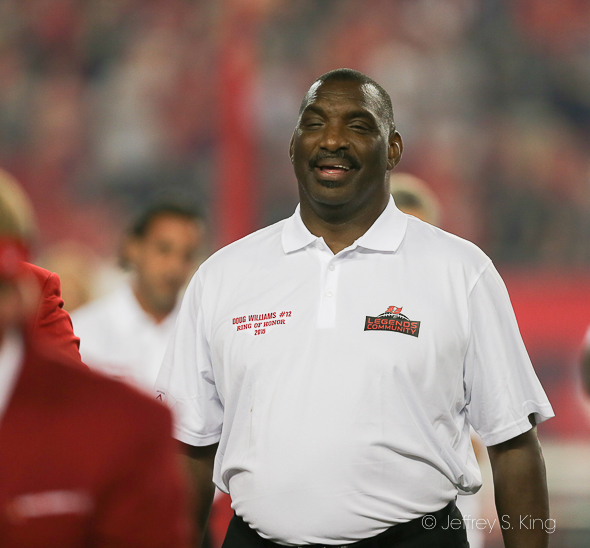 Griffin has never played in an NFL game.Eventually, he wants Winston to be his quarterback. He’s getting nowhere with Griffin. Because it’s never too early to plan ahead for 2019, would you mind sharing your top five future head coaches for hire? I’m hoping Jim Harbaugh is on the list. Who else? Rick. It starts with Harbaugh. My next step is to see which current coaches may be available. Both Tomlin and John Harbaugh have been mentioned as being dismissed. I’d take either in a heartbeat. I’m not wild about Josh McDaniels who seems to be on the waiting list for everyone. Maybe he’s grown up since Denver. Minnesota’s John DeFillipo is highly thought of. If I went to college, and I didn’t hire Harbaugh, I’d be interested in Chris Peterson. As long as Raheem isn’t on the list, or Greg Schiano, I’m happy. 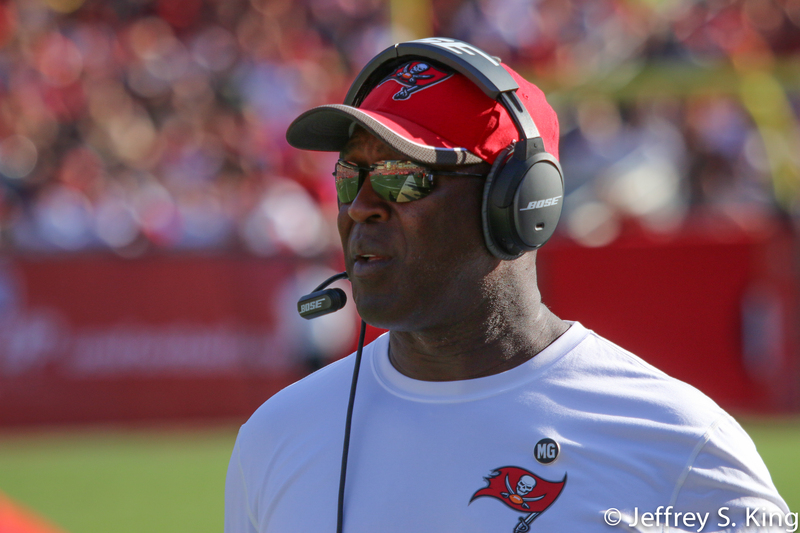 Or Lovie.